Rain is currently falling quite well here in Taupo so lets cross fingers and hope that it continues during the night and well into the day tomorrow. 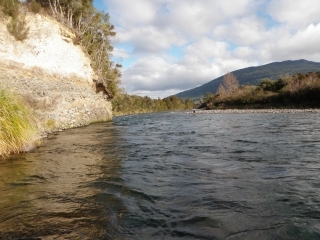 We really need the rain at the moment to fire up all the rivers in the Taupo district as they are low and fishing at times has been challenging. 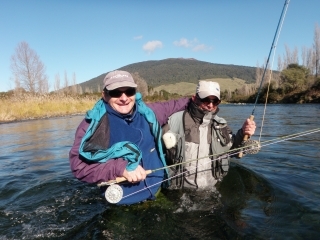 The key to catching fish in Taupo at the moment is to move from river to river fishing all the best lies and poolsÂ in hope that you find some fish that have entered and are untouched from other anglers. 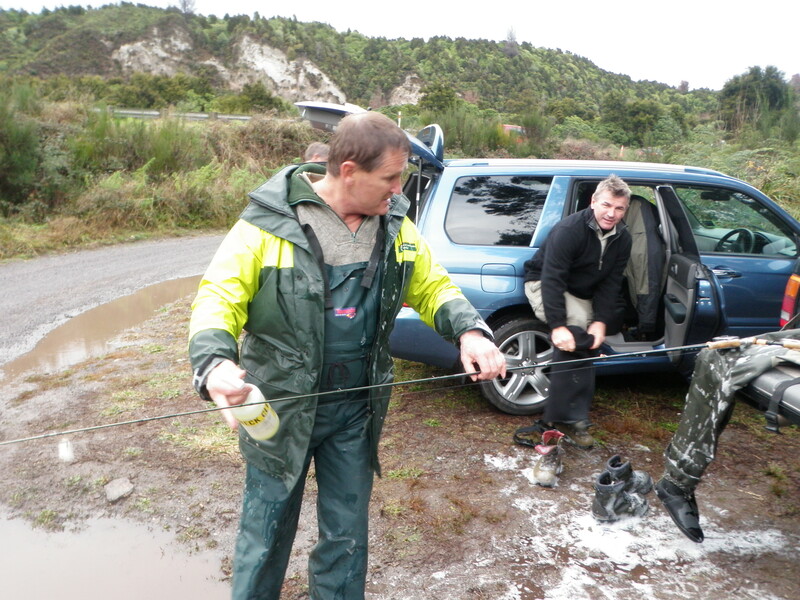 Fishing different areas is a fantastic way to sharpen the skills and see some very different water but please remember to clean your equipment to eliminate the risk of spreading of invasive weeds between our waters. If you do not have your own cleaning equipment in the back of your car there are heap of cleaningÂ stations between Turangi and Taupo which you can use . Motels,sport shops and petrol stations are all suppliers of this service so please take advantage of the opportunity and stop any potential spread. Dave Cade is the driving force behind keeping our river clean and tidy and those of you who fish here or read the websites will know exactly who this saint is. If he is not picking up rubbish, nylon, nappies, washing machines or any other stuff that people want to get rid of he seems to be chatting to anglers about keeping Didymo and other weeds out of our crystal clear rivers. 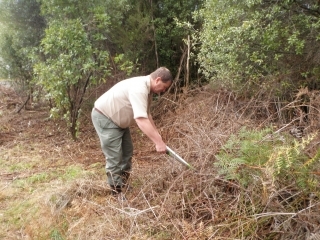 Something which he works on between chatting to anglers is clearing invasive weeds from our car parks and evidence of his great work can be found in the Stag pool car park, Bain pool or at the carpark at the Hine main road bridge. 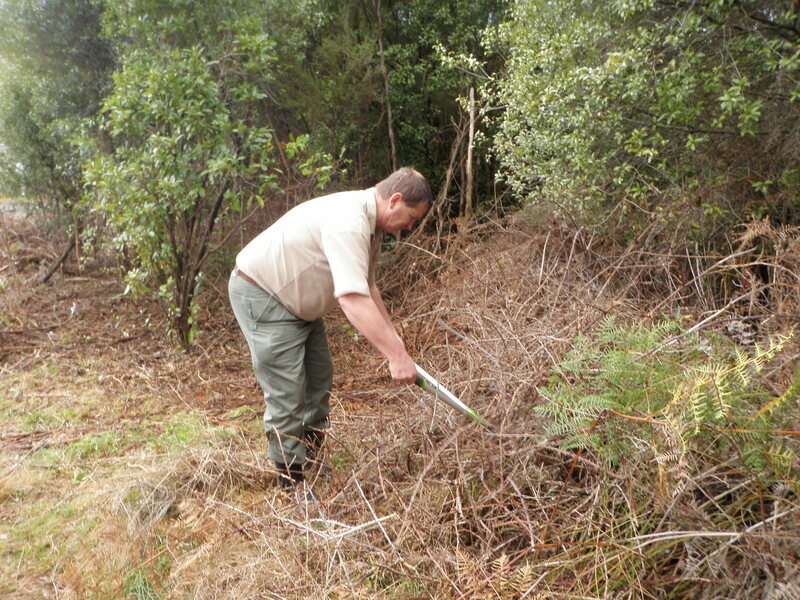 BlackberryÂ is slowly being cleared to let native shrubs and trees come through and if they are not there he has even planted some himself. I know if I ever see something on the river that needs some attention I can call on Dave to sort it out straight away which I personally thank him. Next time you see Dave on the river bank give him a pat on the back for keeping your fishing environment pristine. I have been out on most rivers in the past week as my old Dad has been here trying his luck with the spawning fish of Taupo. We must be honest and report things as being challenging and every fish caught has been deserved as we have covered alot of water and crossed many rapids for only a handful of trout. The Hine has again been the best bet if you can get up early and get the first lines through the deeper pools using bright glo bugs before changing to small naturals. The Hine has been great this year and fishing fairly easy but now you need to start polaroiding and watching the tail water as many fish can be spotted in the riffles. The Tongariro was fairly hard going for the two days we spent on here with most fish coming to the net one afternoon from the mighty Stag pool. This pool I can nearly always rely on and thankfully on this occasion it did not let us down and we managed 6 coloured fish using small Quasimodo nymphs. Some great little fish were caught in the braided area but this was really just a case of fishing the right methods at the right time as they seemed to be running through the area fairly quickly. Fish in the braids were silver and well conditioned but none which were landed were over 3lb so hopefully with this rain we will see a few more larger fish push through. Although we have been very dry the Hawks Bay has been very wet which has made the Waipunga and the Mohaka very hard to access. 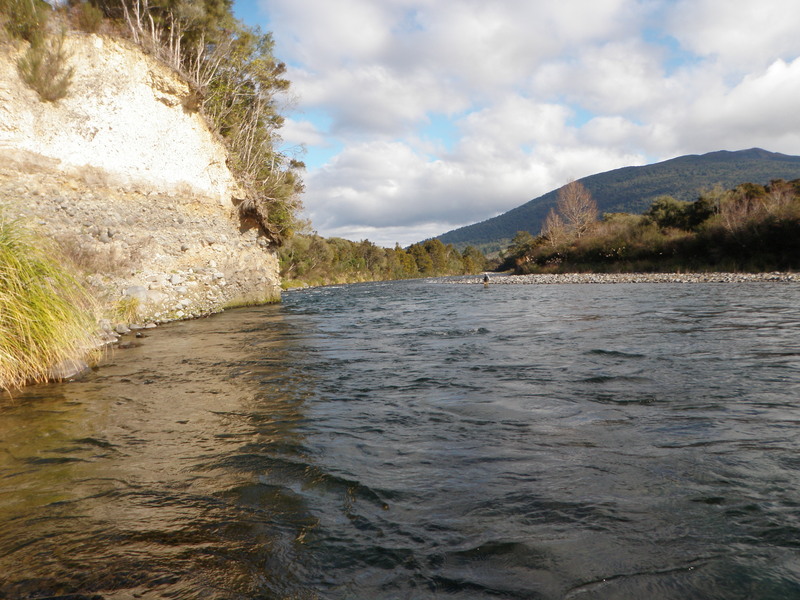 I love these rivers and have been keen to get over for a fish and get Dad into some strong backcountry fish so we took the chance and drove over. When we arrived at the Mohaka bridge I could see that the river was still up and coloured which always meant it was going to be very hard going but we decided to give it a go anyways. 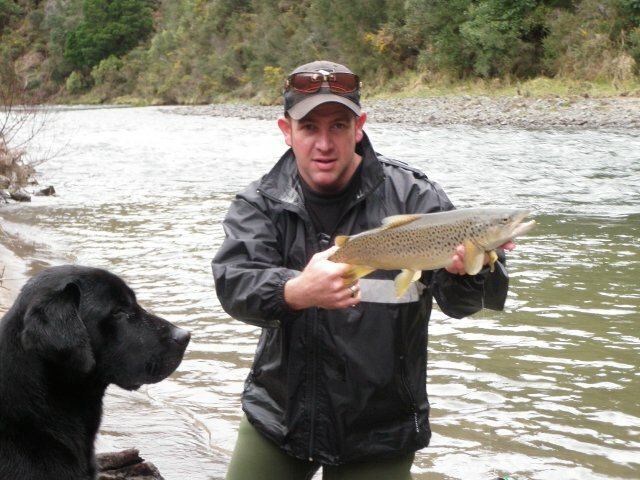 The fishing was difficult and pretty much a waste of time but we had fun with a few hard crossings and hopeful casts. I was very lucky to fluke a small brown which I found in the edge of a large pool which is where most fish will be hanging at the moment with high water conditions. I hate fishing any backcountry river when the levels are high or becoming high as the fish just seem to switch of completely and wait for the water to clear????. 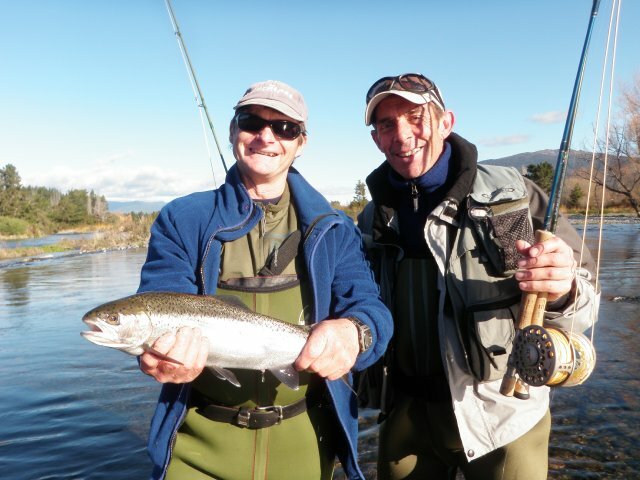 Totally opposite to the Taupo fishery which we love to see high and coloured! Anyway bring on the rain and have a great week.